Thank you for taking the time to learn more about our On-Site Educational Programs. To assist local businesses, organizations, and community groups we have developed a complementary presentation designed to help those interested in learning how to prevent spine related health concerns. Facts / misconceptions about back pain, neck pain, headache and other related spinal health concerns. When to seek care from a health provider. Correct posture and body mechanics. Ergonomics. How to adjust a computer workstation to minimize injury or pain. 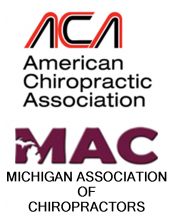 If you are interested in scheduling a presentation for your group or organization please call our office at (248) 851-PAIN (7246).